to the needs of the overseas investors. 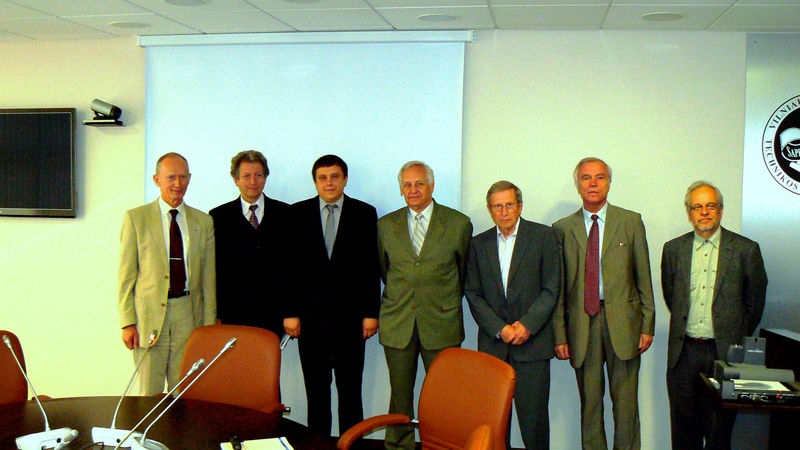 On May 21st 2014 Darius Plonis has presented and successfully defended his doctors disertation "Research and applications of gyrotropic devices models" (Technological Sciences, Electrical and Electronic Engineering, 01T). 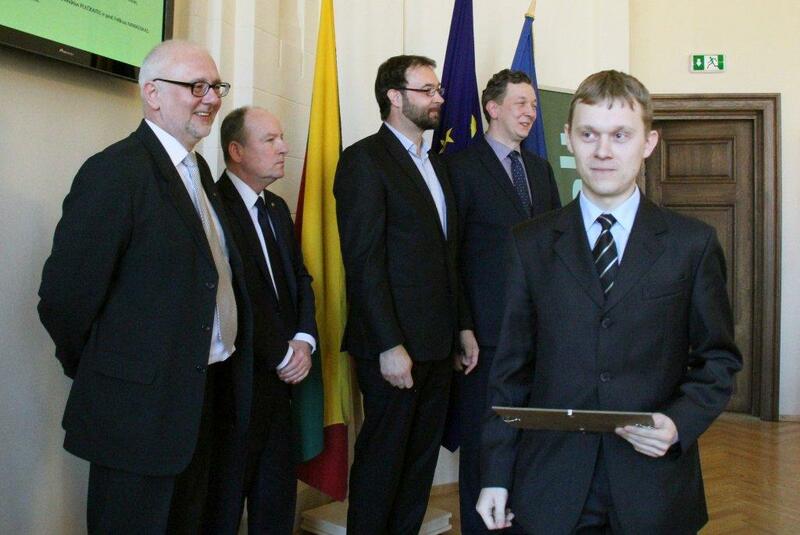 On February 11th 2014 Tomyslav Sledevič has participated in 4-th conference of junior scientists, organazied by Lithuanian Science Academy. Tomyslav's presentation and the work itself was acknowledged as one of the best in the conference. On Februray 25th he recieved a diploma and a named INFOBALT grant for his work. On November 22nd Audrius Krukonis has presented and successfully defended his doctors disertation "Investigation of Microstrip Delay Systems in Frequency and Time Domain" (Technological Sciences, Electrical and Electronic Engineering, 01T). 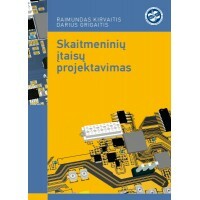 On September 12th a new textbook by R. Kirvaitis and D. Grigaitis, called "Skaitmeminių įtaisų projektavimas" has been oficially published by VGTU publisher "Technika". We congradulate the authors and are very thankful for all the hard work that has been put into this textbook. Textbook can be found in VGTU bookstore "Technika" or in the e-shop knygos.vgtu.lt. The textbook covers all major topics in modern digital design: structure and properties of digital devices are discussed and synthesis and analysis of combinational and sequential digital devices is performed. Fundamental concepts of number systems and Boolean algebra provide a mathematical basis for synthesis, simulation and investigation of different digital devices of combinational logic on gate level and using integrated circuits of small and middle scale integration, as well as programmable logic devices. The book deals with design – synthesis and analysis – of synchronous and asynchronous sequential digital devices. The introduction to modern digital design using HDL (Hardware Description Language) and FPGA (Field Programmable Gate Array) is presented in the book as well. This textbook is suited for students in Electronics Engineering, Automatics, Computer Engineering, Information Engineering and Telecommunication Engineering on Bachelor and Master levels. The material of this book has been arranged with great care so that the text can be used for stand-alone student in part-day studies: every chapter includes the summary, questions, problems and references. The book would be useful for fans interested in operation and design of digital devices, and professional designers of digital devices as well. On June 11th Andrius Katkevičius has presented and successfully defended his doctors disertation "Investigation of spiral and meandric slowing systems frequency properties" (Technological Sciences, Electrical and Electronic Engineering, 01T).